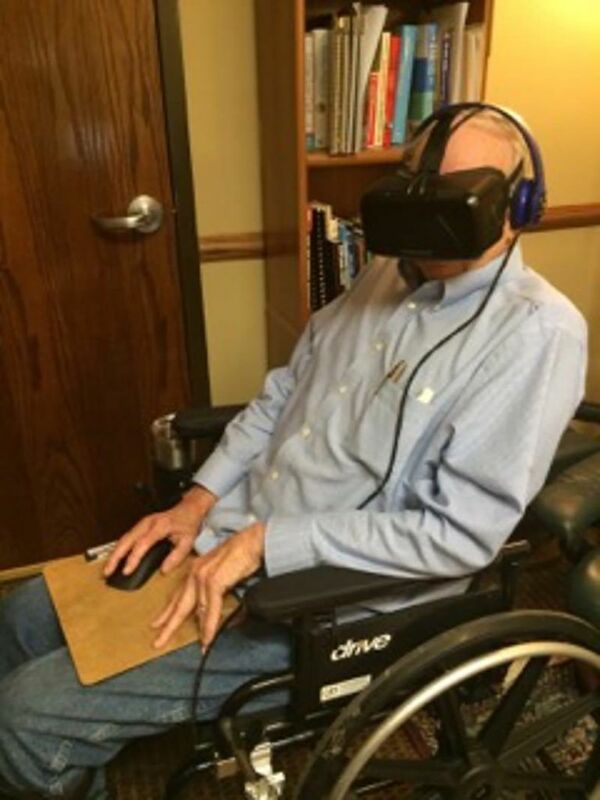 A study by the University of Tennessee Knoxville recently investigated the effectiveness of Virtual Reality for the treatment of patients with chronic pain (VR Therapy for Pain) and found some very encouraging results that further consolidates evidence for the positive effects of VR therapy that earlier studies have shown. Where in previous studies researchers investigated the effectiveness of VR treatment on acute pain, the current study investigates how Virtual Reality affects pain perception of patients with chronic pain. The theory behind VR therapy is based on the so called ‘Gate theory of attention’ which postulates that “VR reduces the perception of pain by absorbing and diverting attention away from the pain”. The virtual reality application that was used in the present study is called Cool! by Deepstream VR where participants wear a Virtual Reality headset (Oculus Rift) and virtually travel along a preset route through a computer generated fantasy world. Participants have the option to cast fish or fire-orbs at little otters that show up along the travel path. Participants had to use their heads to aim so the VR application is requiring a lot of attention and interaction. Results of the new study show that the level of pain that was experienced by study participants was reduced by 33% when comparing pain levels from before the VR session to pain levels after the session. During VR exposure pain levels were even reduced by 60% (on average), compared to the pain level that participants experienced before the session. 10 out of the 30 study participants reported complete pain relief while doing the virtual reality session, while all participants (100%) “reported a decrease in pain to some degree between pre-session pain and during-session pain”. The authors of the research study (link below) state that “the analgesia (pain reduction) experienced by participants in the experiments was comparable to morphine between pre-session and post-session”. The results of course clearly show that using VR therapy is a very effective tool to reduce the need for traditional analgesia drugs, thus potentially drastically reducing the high costs and side-effects that are often associated with analgesia drugs, like e.g. morphine. We find that these are some very encouraging results and look forward to more research in this area. A comparison of computer generated worlds and realistic 360 video would be highly interesting as would which length of treatment is most beneficial for people with chronic pain? For those who are interested to test for themselves if VR Therapy is effective for their own pain reduction, you can find more information in the full article about the research study  or with the fully spherical, 360 degree Atmosphaeres Virtual Relaxation Videos, either as an Android app or as directly downloadable spherical video files that work on all common headsets and platforms, such as the Oculus Rift, HTC Vive, Google Cardboard and Daydream and many more. You will find information on compatible players on the respective product pages. Will all your 360 videos work on Oculus Go?